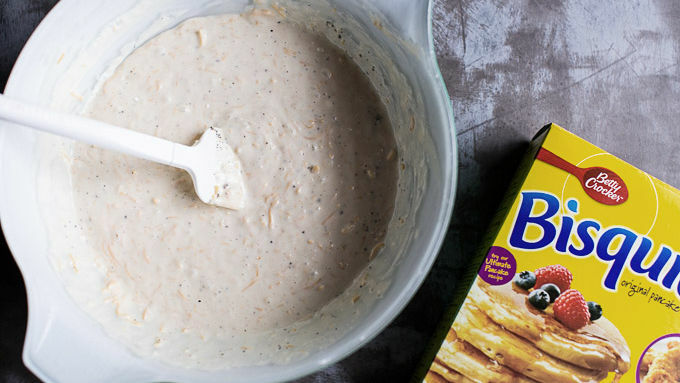 In a bowl, mix together the Bisquick™, milk, melted butter, egg and a pinch of salt and pepper until just combined. It's okay if batter is lumpy. Stir in cheddar and Monterey Jack cheese. Set batter aside to rest for 5 minutes. Meanwhile, heat a large skillet over high heat and brown chorizo all over, breaking it into small pieces as it cooks. 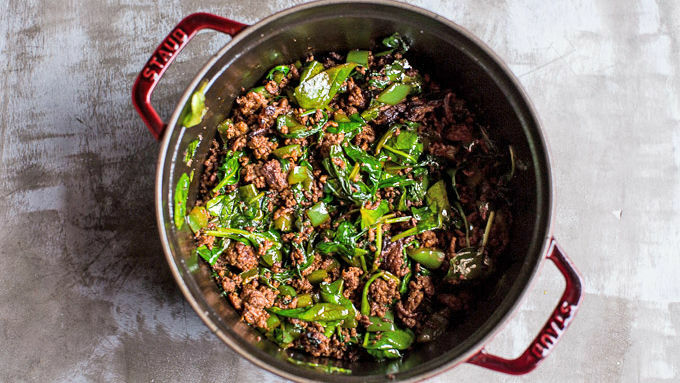 Once chorizo is cooked, add chopped bell pepper and spinach. Continue cooking another 5 minutes and then remove from heat. Preheat your waffle iron. Cook waffles according to manufacturer's directions, being VERY careful not to overcook the waffles. I prefer to slightly undercook them. Place cooked waffles back in iron and top each with chorizo mixture and then a handful of fontina cheese. Add another waffle on top like you are making a sandwich. 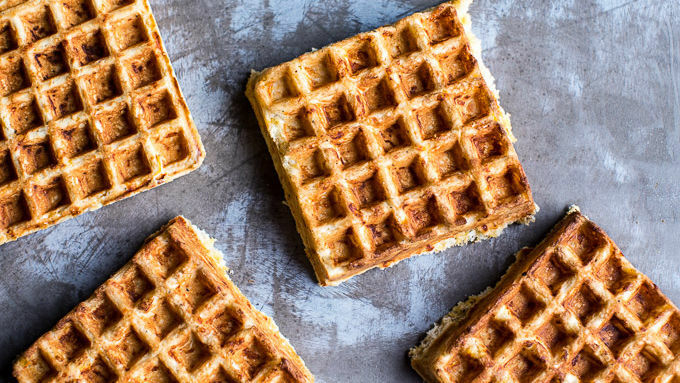 Carefully shut the waffle iron, pressing the waffles together to form sandwiches. Cook 1-2 minutes or until cheese is melted and gooey. Carefully remove each waffled sandwich to a plate. Top each sandwich with a fried egg, avocado, fresh cilantro and sliced jalapeño. 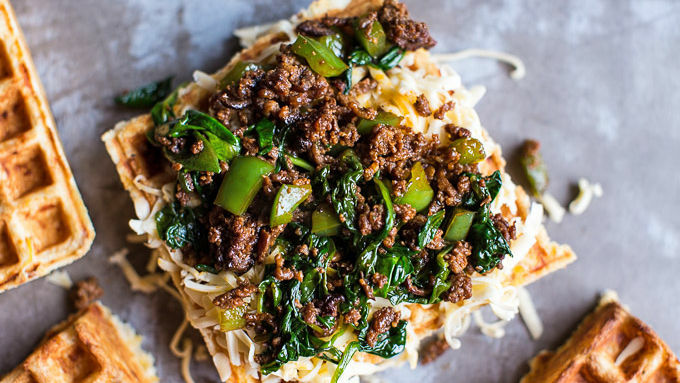 Use your favorite mix of vegetables for the filling, or omit the chorizo and use all veggies for a veggie melt! 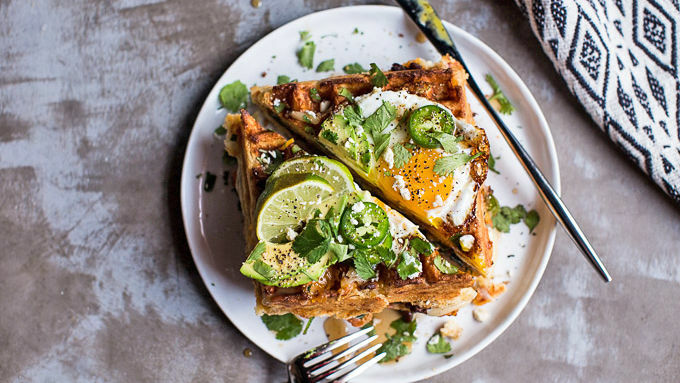 Have you guys caught the waffle craze that's trending in the food world right now? It seems everywhere I look waffles are being turned into amazing creations, both sweet and savory. This excites me greatly, as I LOVE waffles. I mean, who could not love waffles? Crazy people! Anyway, today I’m sharing my savory, super cheesy, Mexican-inspired waffle melt. 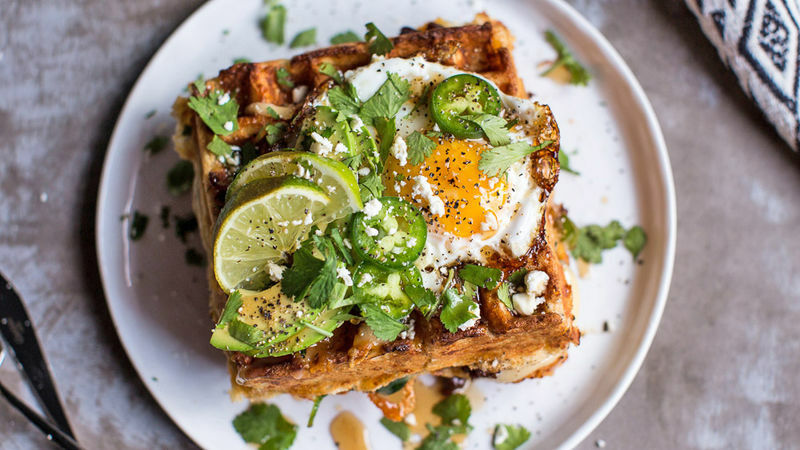 OH YES, this waffles melt is everything... cheesy, spicy chorizo and obviously—yummy waffles! I added some serious toppings too—fried eggs, avocado, cilantro, fresh jalapeños and a little queso fresco. YUM. Top with all your favorite toppings, then slice in half if you want. Now EAT!